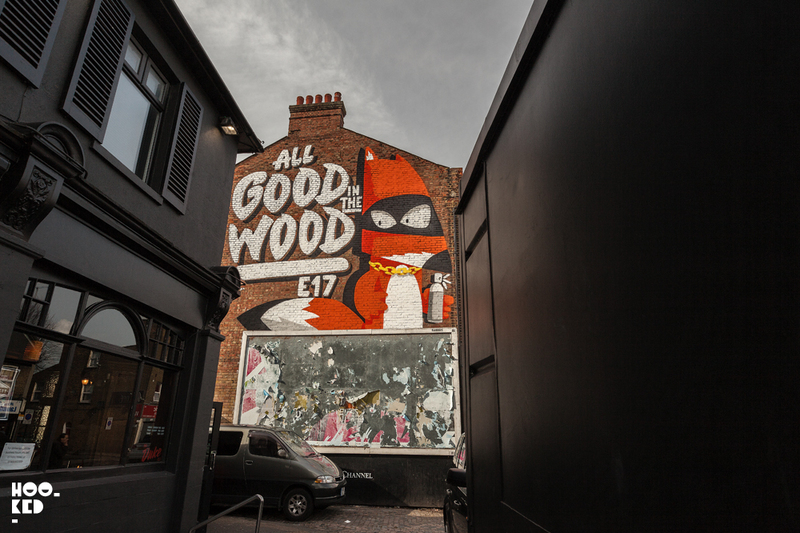 East London — Woodstreet Walls have been giving their neighbourhood a fresh lick of paint throughout their month long Paint Your London event (Previously on Hookedblog), an initiative to provide affordable work spaces for artist in East London. The festival has seen them transform a number of bland and dreary buildings across Walthamstow, Leytonstone, Leyton & Chingford into colourful works of art. They have been achieving this with the help of some of the best local and international street artists, 20 in total who they have enlisted to help transform multiple locations over the duration of the event. Hookedblog have already featured a number of the artists who have worked with Woodstreet Walls painting murals in the neighbourhood for their Paint Your London event including Louis Massai (Previously on Hookedblog), Remi Rough (Previously on Hookedblog) and most recently Maser (Previously on Hookedblog). Artist and longtime friend of Hookedblog, Ronzo was also among those invited by WoodStreet Walls to contribute to the event. Well known for his character design, Ronzo's monster characters and urban pigeon sculptures (Previously on Hookedblog) can still be seen hanging around Shoreditch. The artist worked on a number of ideas for his E17 mural located just a few minutes walk from the Wood Street train station next to The Duke pub. 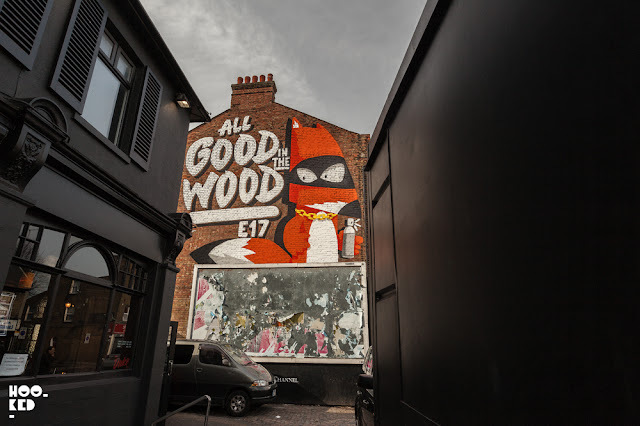 For his finished mural he chose to paint this fun masked urban fox character wielding a spray can, perhaps taking inspiration from the urban foxes that are now common sight here in London. 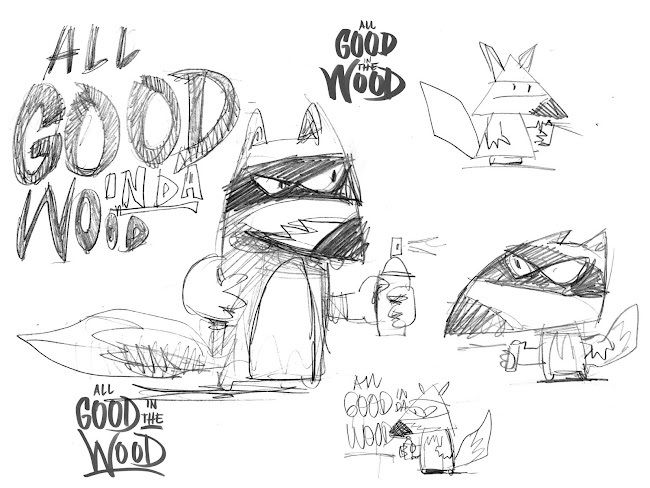 Ronzo sent us over some of his initial sketches along with a making of video of him at work on the mural which you can check out below.